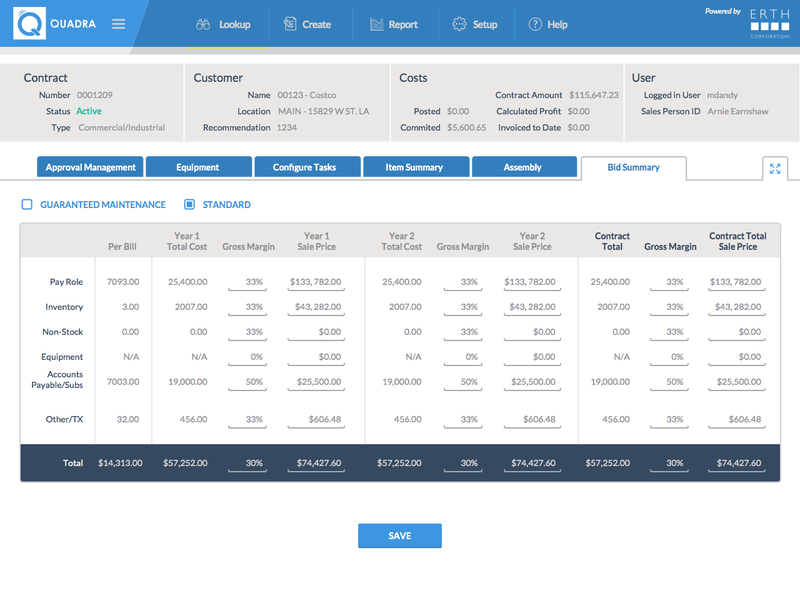 Quadra Service Contract Estimating is a powerful web application that is fully integrated with KEY2ACT. 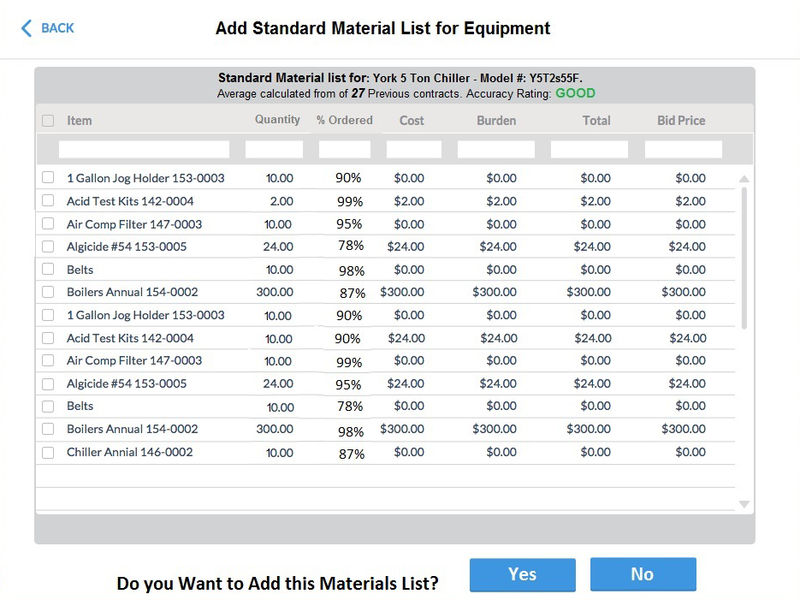 Quickly create quotes, add equipment, add tasks, material and adjust technician levels, frequency and for factors such as snow to create the contract that works best for your customers. Using Quadra Service Contract Estimating, you can modify your service contracts by adjusting a number of different factors such as Gross Margin by Pay Role, Material, Equipment etc. You can also modify Gross Margin by Year of the Contract or any of other factor over the entire contract. Furthermore, you can adjust the dollars on the contract and even the sales commission. Download our brochure to learn more. The system predicts which parts may be required for certain tasks. It does this using previous jobs on the same type of equipment. 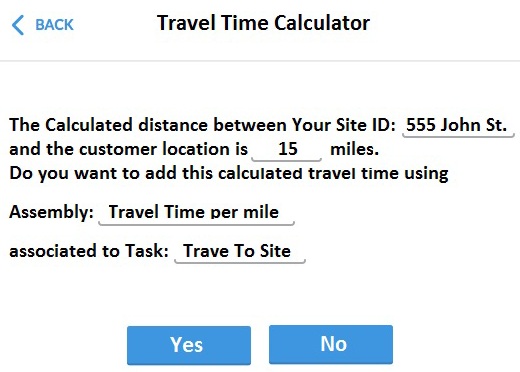 The system will automatically calculate travel costs based on the required trips and the distance from the shop to the customer. Quadra Service Contract Estimating is fully integrated with KEY2ACT. Customers, Equipment Records, Locations, Sub Locations are all pulled from KEY2ACT when they exist. In addition, these items can be added to new Estimates instead. Once approved, the items are pushed into KEY2ACT. All tasks and materials are automatically inserted in KEY2ACT when the service contracts are approved.